BOOK YOUR MA SINGLE FAMILY HOME INSPECTION - ONLY $375*! 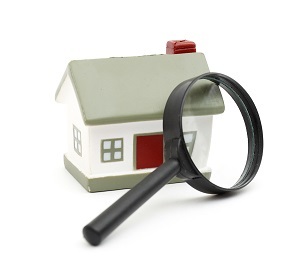 Home inspections have many different parts to them, one part being a pest inspection. Often times we see that pests have entered our home in the winter to seek shelter. This, in turn, leaves sometimes minor to major damages inside our homes. Pests can be anything from insects, termites, rats, or skunks. There are three parts to a pest inspection, outdoor inspection, indoor inspection, and evaluation and recommendations for pest control. Here is what to expect when having a pest inspection conducted in your home. A home inspector will walk around your house to see if there are any holes or cracks in the foundation where pests can enter into. Your inspector will look for entry points like pipes, windows, and doors. They will also look around for nests or termite tubes, this will give the inspector a good idea on if there are pests inside of the home. Once they have looked around, they will be able to determine the concern for pests being in your house. Your inspector will now go into your house to look for signs of insect and rodent infestation. Their main focus when in your home is baseboards, cupboards, attics, and basements or anywhere critters can crawl into. They are mainly looking for droppings or other traces of their presence. Another part is looking for any areas in your home that collect moisture. Often times pests like to hide out in an area that is moist than areas that are dry. To conduct this test, the inspector will use a flashlight to highlight the areas that could be problematic. After the test is over your inspector will take time to figure out a good path going forward. They will help you decide on a course of action to eradicate the issue or if they didn’t find anything to ensure there won’t be any visitors. Your inspector may decide it is in the best interest of your home if there are traps set around the trouble areas for rodents. Or if there is a termite issue, they may have to bring in advanced termite control. When your inspector is done with the test, he or she might go into their car to collect their thoughts. This is not a bad thing, they are just working to formulate your next steps. Is it time for your next home inspection? The Homeinex Corporation has been providing prompt and in-depth inspections in Massachusetts, Connecticut, Maine, Rhode Island, and New Hampshire for over twenty-five years. Trust that our inspectors to get the job done. Learn more and schedule an appointment today!